These Terms and Conditions (“Terms”) are applicable to and incorporated by reference into each insertion order (each, an “Insertion Order” and, together with these Terms, the “Agreement”) entered into by the buyer identified therein (the “Buyer”) and Quotelab, LLC (together with its affiliates, “MediaAlpha”) and set forth the respective rights and obligations of Buyer and MediaAlpha (the “Parties”) with respect to the fulfillment by MediaAlpha of advertising campaigns utilizing various media and placement types. To the extent that these Terms are in conflict or inconsistent with an Insertion Order, the Insertion Order shall control. For Buyers that enter their requirements directly into the Exchange without entering into a written insertion order, any reference to an Insertion Order in these Terms will be deemed to refer to the order(s) placed by Buyer in the Exchange. 1. Services. During the Term (as defined below), MediaAlpha may provide Buyer with clicks, calls, leads or other advertising formats as set forth below and according to the specifications contained in an Insertion Order. MediaAlpha agrees, subject to Buyer allocating sufficient budgets and Cost per Click (“CPC”) bids via its online reporting and bidding system at http://exchange.mediaalpha.com (the “MediaAlpha Exchange”), to place Buyer’s advertisements, directing Customers to a url designated by the Buyer, on websites controlled by MediaAlpha, including websites owned or controlled by third parties (“Publishers”) who have a contractual relationship with MediaAlpha to place advertisements from MediaAlpha advertisers on such websites (collectively, “MediaAlpha Sites”) or in emails sent to users of MediaAlpha Sites (“Customers”). Buyer shall pay an agreed upon Fee (as defined in Section 3) for each unique Customer who clicks on Buyer’s advertisement (each a “Click”). MediaAlpha agrees to provide Buyer with call transfers to phone number(s) provided by Buyer, from prospective customers who have either (i) called a phone number promoted in advertisements placed by MediaAlpha or Publishers, displayed on MediaAlpha Sites or contained in emails sent to Customers, or (ii) received a call from MediaAlpha or a Publisher in response to the submission of Lead Information (defined below) in compliance with the Telephone Consumer Protection Act (“TCPA”) and all other applicable laws and regulations, and, in either case, subsequently made an affirmative indication of interest in being connected by phone to the Buyer for the purpose of obtaining specified services. Buyer shall pay an agreed upon Fee for each Customer who is connected with the Buyer who meets the Required Call Duration specified in the Insertion Order or in the MediaAlpha Exchange (each a “Qualified Call”). Notwithstanding the foregoing, for any Customer whose call does not result in a Qualified Call, Buyer shall not further market to, or otherwise use Lead Information from such Customer. (c) Leads. Where a Customer has provided information to MediaAlpha or a Publisher relating to the Customer’s request for specified products or services (“Lead Information”), and MediaAlpha is able to match the Lead Information with the Buyer, based on the Buyer’s filters and bid price, MediaAlpha shall provide such Lead Information to the Buyer in a mutually-agreed upon data format. Buyer may reject a Lead for any reason within one hundred twenty (120) seconds of delivery of the Lead by MediaAlpha (the “Rejection Window”). Any Lead not rejected by the Buyer during the Rejection Window shall be deemed purchased by Buyer. Leads may not be returned outside of the Rejection Window for any reason. With respect to any purchased Lead, Buyer shall have the full right to use the Lead Information in connection with the marketing of the specified services to Customers. Notwithstanding the foregoing, Buyer shall not further market to, or otherwise use Lead Information from any rejected Lead. (d) Buyer understands that MediaAlpha cannot guarantee the level, predictability, availability or conversion of any advertising unit, and that the number of Customers delivered will be impacted by Buyer’s bids and budgets, along with other factors beyond MediaAlpha’s control. (a) Buyer hereby grants to MediaAlpha a non-exclusive, worldwide, fully paid license to use, perform, reproduce, display, transmit and distribute Buyer’s advertisements (“Ads”) as contemplated hereunder. (b) All contents of Ads are subject to MediaAlpha’s approval. 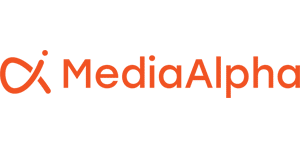 MediaAlpha reserves the right to reject or cancel any Ad, agreement, or placement, at any time, for any reason whatsoever (including belief that any Ad or the placement thereof may subject MediaAlpha to criminal or civil liability). The right to reject or cancel an Ad does not constitute endorsement of any Ad that is accepted by MediaAlpha, nor does it constitute a warranty that MediaAlpha will continue to run an Ad once accepted. MediaAlpha has no obligation to inspect ads or to reject ads that it inspects for any reason. (c) Buyer represents and warrants to MediaAlpha that Buyer holds all necessary rights (including the right to use all information, names, trademarks, keywords, and search terms it provides or includes in its Ads) to permit the use of the Ads by MediaAlpha for the purposes contemplated under this Agreement; and that the use, reproduction, distribution, transmission or display of the Ads, any data regarding users, and any material to which users can link, or any products or services made available to users, through the Ads will not (a) violate any civil or criminal laws or any rights of any third parties or (b) contain any material that is obscene, pornographic, unlawful or otherwise objectionable, including without limitation any material that encourages conduct that would constitute a criminal offense, give rise to civil liability, or otherwise violate any applicable law. 3. Fees, Payment Terms and Invoices. (a) The initial Fee or schedule of Fees for Clicks, Qualified Calls, Leads, or other forms of advertising (each, an “Advertising Unit”) will be set forth as specified in the Insertion Order or as entered in the MediaAlpha Exchange. The Fee or schedule of Fees may be updated via the MediaAlpha Exchange from time to time by the Buyer or, if specifically authorized in writing (including via email), by MediaAlpha on Buyer’s behalf. MediaAlpha will provide Buyer a login to the MediaAlpha Exchange where Buyer may see updated estimates of Fees owed to MediaAlpha for Advertising Units delivered to the Buyer during the current month and, if applicable, Buyer’s current prepay balance. While every effort is made to track and report Advertising Units in real time, the Fees reported in the Exchange are only estimates and are subject to adjustment. Buyer agrees that all counts of Advertising Units and calculation of Fees referenced within an Invoice or the Insertion Order shall be based solely on MediaAlpha’s online reporting system. (b) Prior to incurring any Fees, Buyers are required to make a prepayment, in an amount determined by Buyer, via credit card, wire, ACH or other method approved by MediaAlpha. Buyer’s prepaid account balance (“Balance”) shall be increased for any payment made by Buyer, and shall be reduced for each Advertising Unit delivered to Buyer, upon delivery. Buyer will not be able to incur any additional Fees or acquire any Advertising Units if Buyer’s Balance is not equal to or greater than the cost of such Advertising Unit, and if the Balance reaches $0 or negative, all of Buyer’s campaigns will be paused. If at any time Purchaser’s Balance is negative, Buyer must promptly make a payment to MediaAlpha in an amount equal to or greater than the negative Balance. (c) All data concerning Buyer’s Balance, Fees and Advertising Units will be available in the Exchange, and Buyer will not receive invoices unless Buyer has a negative Balance, or in the event Buyer is approved to purchase on Credit. In such cases, within seven (7) days of the end of each month, MediaAlpha will send Buyer an invoice with a calculation of Fees payable to MediaAlpha for the previous month (“Invoice”). (d) If, in its sole discretion, MediaAlpha approves Buyer to acquire Advertising Units on credit, then Purchaser shall pay MediaAlpha within thirty (30) days following the receipt of an Invoice. MediaAlpha may, at any time and in its sole discretion, withdraw or limit its credit approval and thereafter require Buyer to make prepayments prior to incurring any further Fees or acquiring additional Advertising Units. All payments from Buyer shall be due in full within thirty (30) days after the end of the calendar month for which an Invoice was issued. If Buyer fails to pay Invoices when due, in addition to any other remedies it may have, MediaAlpha reserves the right to immediately terminate any active campaigns. Buyer agrees that it shall be responsible for all reasonable expenses (including attorneys' fees and collection agent commissions, if any) incurred by MediaAlpha in collecting past due amounts. 4. Term. This Agreement shall commence on the Effective Date of the Insertion Agreement and shall continue for a period of twelve (12) months or such other period of time as is indicated in an Insertion Order (“Initial Term”). Thereafter, this Agreement shall automatically renew on a month-to-month basis (the Initial Term, together with each such monthly renewal, the “Term”). Unless otherwise provided in an Insertion Order, either party may terminate this Agreement at any time during the Term, with or without cause, upon ten (10) days’ prior written notice. 5. Representations and Warranties. Each Party represents and warrants to the other Party that: (a) it has the full corporate right, power and authority to enter into this Agreement, to grant the licenses granted hereunder and to perform the acts required of it hereunder; (b) the execution of this Agreement by it and the performance of its obligations and duties hereunder, do not and will not violate any agreement to which it is a party or by which it is otherwise bound; (c) when executed and delivered, this Agreement will constitute the legal, valid and binding obligation of each Party, enforceable against each Party in accordance with its terms; and (d) its marketing activities related to this Agreement will neither infringe on any copyright, trademark, U.S. patent or any other third party right, nor knowingly violate any applicable law or regulation. 6. Indemnification. Each Party agrees to indemnify, defend and hold harmless the other Party, its subsidiaries, agents, contractors, officers, directors and employees from and against any loss, cost, claim, injury or damage (including reasonable attorney’s fees) arising out of or relating to the Party’s breach of this Agreement. 7. Confidentiality. “Confidential Information” shall include (i) all information marked as “Confidential,” “Proprietary,” or with a similar legend by the disclosing party (“Discloser”) when given to the receiving party (“Recipient”); and (ii) information and data provided by the Discloser, which under the circumstances surrounding the disclosure should be reasonably deemed confidential or proprietary. Without limiting the foregoing, Discloser and Recipient agree that each Discloser’s contribution to the Insertion Order details shall be considered such Discloser’s Confidential Information. Recipient will protect Confidential Information in the same manner that it protects its own information of a similar nature, but in no event with less than reasonable care. Recipient shall not disclose Confidential Information to anyone except an employee, agent, affiliate, or third party who has a need to know same, and who is bound by confidentiality and non-use obligations at least as protective of Confidential Information as are those in this section. Recipient will not use Discloser’s Confidential Information other than as provided for in the Insertion Order. Notwithstanding anything contained herein to the contrary, the term “Confidential Information” will not include information which: (i) was previously known to Recipient; (ii) was or becomes generally available to the public through no fault of Recipient; (iii) was rightfully in Recipient’s possession free of any obligation of confidentiality at, or prior to, the time it was communicated to Recipient by Discloser; or (iv) was developed by employees or agents of Recipient independently of, and without reference to, Confidential Information. Notwithstanding the foregoing, the Recipient may disclose Confidential Information of the Discloser in response to a valid order by a court or other governmental body, as otherwise required by law or the rules of any applicable securities exchange, or as necessary to establish the rights of either party under these Terms; provided, however, that Recipient shall provide prompt notice to Discloser and cooperate with Discloser (at Discloser’s expense) to seek a protective order or otherwise protect such information from public disclosure. 8. Disclaimer of Warranties/Limitation of Liability. EXCEPT AS SET FORTH IN THIS AGREEMENT, THERE ARE NO OTHER WARRANTIES, EXPRESS OR IMPLIED HEREUNDER INCLUDING, BUT NOT LIMITED TO, IMPLIED WARRANTIES OF MERCHANTABILITY OR FITNESS FOR A PARTICULAR PURPOSE. OTHER THAN AS A RESULT OF SUCH PARTY’S GROSS NEGLIGENCE OR WILLFUL MISCONDUCT, NEITHER PARTY SHALL BE LIABLE FOR ANY INDIRECT, INCIDENTAL, SPECIAL OR CONSEQUENTIAL DAMAGES INCLUDING, BUT NOT LIMITED TO, LOST BUSINESS AND LOST PROFITS, WHETHER BASED IN CONTRACT, TORT OR ANY OTHER THEORY, EVEN IF ADVISED OF THE POSSIBILITY OF SUCH DAMAGES. Other than as a result of gross negligence or willful misconduct, or in respect of indemnification obligations, the aggregate liability of the parties to one another shall not exceed the amount of fees paid by Buyer to MediaAlpha pursuant to this Agreement. 9. Waiver. No delay or failure by either Party to exercise any right under this Agreement, and no partial or single exercise of that right, shall constitute a waiver of that or any other right, unless otherwise expressly provided for herein. A waiver of default shall not be a waiver of any other or subsequent default. 10. Force Majeure. Neither Party will be liable, or be considered to be in breach of this Agreement, on account of such Party’s delay or failure to perform as required under the terms of this Agreement as a result of any causes or conditions that are beyond such Party’s reasonable control and that such Party is unable to overcome through the exercise of commercially reasonable diligence (a “Force Majeure Event”). If any such Force Majeure Event occurs including, without limitation, acts of God, fires, explosions, telecommunications, Internet or network failure, results of vandalism or computer hacking, storm or other natural occurrences, national emergencies, acts of terrorism, insurrections, riots, wars, strikes or other labor difficulties, or any act or omission of any other person or entity, the affected Party will give the other Party notice and will use commercially reasonable efforts to minimize the impact of any such event. 11. Governing Law/Jurisdiction. This Agreement shall be construed in accordance with and governed by the laws of the State of California. In the event that any suit, action or other legal proceeding shall be instituted against either party in connection with this Agreement, each hereby submits to the jurisdiction of either the United States District Court for the Central District of California or any California State Court of competent jurisdiction, located in Los Angeles County, and further agrees to comply with all the requirements necessary to give such court jurisdiction. 12. Entire Agreement. This Agreement, together with any applicable Insertion Orders, contains the entire agreement between the Parties. No modification of this Agreement shall be effective unless in writing and executed by a duly authorized officer of each Party. Notwithstanding the foregoing, if these Terms are amended, any Insertion Order executed subsequent to the date of such amendment shall incorporate by reference the then-current Terms. 13. Severability. If any provision contained in this Agreement is determined to be invalid, illegal or unenforceable in any respect under any applicable law, then such provision will be severed and replaced with a new provision that most closely reflects the real intention of the parties, and the remaining provisions of this Agreement will remain in full force and effect. 14. Relationship of the Parties. The relationship of Buyer and MediaAlpha established by this Agreement is solely that of independent contractors, and neither Party is an employee, agent, partner or joint venturer of the other. Neither Party shall make any representations, warranties or covenants, or assume or create any obligations, on the other party’s behalf. Each Party shall be solely responsible for the actions of its respective employees, agents, affiliates and representatives. 15. Assignment. Neither Party shall, without the prior written consent of the other Party, assign its rights or delegate its duties under this Agreement, which consent shall not be unreasonably withheld, delayed or conditioned; provided, however, that either party may, in the event of a merger, acquisition, joint venture, or sale of substantially all of such party’s assets or business (or any substantially similar transaction), assign this Agreement without the consent of the other party. The provisions of this Agreement shall be binding upon and inure to the benefit of the parties and their permitted successors and assigns. 16. Survivability. Sections 3, 5-9, 11-14 and 16 shall continue in full force after the termination of this Agreement.